Welcome to Professional Dry Cleaners. Serving the Durham Region and beyond for over 25 years! We are Durham Region’s inaugural garment centre to focus on your finest couture, vintage and luxury items as well as your day-to-day dry cleaning and laundry needs. 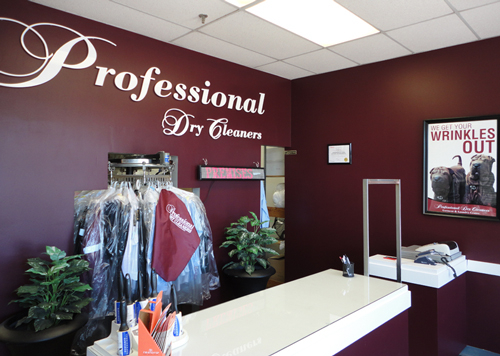 Our mission statement is to provide professional, expedient, and customer-driven service to all those to whom we have the privilege of providing dry cleaning expertise. At Professional Dry Cleaners, we consider the amount of time, money and energy each client has put into their custom fitted wardrobe. In doing so, our experienced and highly trained staff personally hand inspect each garment prior to cleaning to confirm that the most applicable techniques and cleaning materials are used in order to maintain the integrity of each garment. We maintain this standard throughout the cleaning and pressing process in order to protect your investment. Conveniently located on the northwest corner of Hwy 2 (King) St and Thornton, we are your one stop, on-site, cleaning centre for everything from bridal gowns, and vintage gowns to your most finely tailored suit. 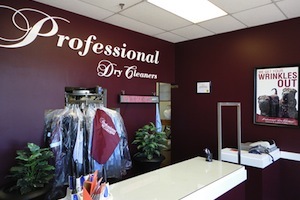 At Professional Dry Cleaners, we believe your investment deserves better attention than a corner variety store and it is our goal to ensure that all garments are cleaned with sophisticated care to ensure the longevity of your wardrobe while enhancing your image. We maintain our objective on each and every piece…Pride, Professionalism, Perfection. We look forward to seeing you soon! Same day service is available weekdays up until 10am. If you have any questions regarding our product or service, please contact us by phone or email and we'll get back to you as soon as possible.